Here’s a review of every shoe in the newest collection. The adidas Nemeziz 17+ 360 Agility Fg takes the triple red route as the company launches the comprehensive ‘’cold blooded’’ collection. The shoe drops alongside the X 17 + Purespeed and Predator 18+ as the company refreshes its on-pitch aesthetic. 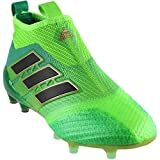 This particular shoe will certainly won by some of the best names in the game such as Jesse Lingard, Roberto Firmino and Julian Draxler starting from this weekend. How cool is that? The incredible shoe is as incredible as it comes. For sure, it boasts one of the boldest designs from the all new ‘’Cold Blooded’’ collection from the company. Some shades of red wrap themselves perfectly around the shoe’s laceless silhouette as it follows the trademark lines of TorsionTapes technology and AgilityBandage. The red stripes excellently complement the red upper. As if that’s not enough, red for you to like, then you can look forward to the metallic red soleplate, which brings some bit of glam, in red. The shoe will also feature a laced 17.1 version together with Street and Cage editions. Sadly, Lionel Messi, the leading Nemeziz player will not sporting the brand new design. He’ll get his own exclusive Messi 17.1 version in the days to come. Some of the key household names that will dress the adidas X Pure Speed Fg include Gareth Bale, Gabriel Jesus, and Luis Suarez. One of the best attributes about this shoe is the fact that it offers the purest aesthetic in the entire ‘Cold Blooded’ line up. It features such a pristine white upper that combines efficiently with black & red detailing to mirror the rest of the shoes in the collection. While it won’t win any awards when it comes to creativity, its design is surely covered in the crowd-pleasing vibes. The laced X 17.1 edition is wrapped in a similar colorway together with a Cage version of its boot. It’s a perfect fit for the tumble and rough demands of a small-sided football in the street environment. You don’t need any tech tweaks but just clean and crisp colorings. There’s not much to complain here for sure. The adidas Predator 18+ Fg comes dressed in a pleasing combination of black/red/white. It’s not only proper Pred but also prim. With this new innovative shoe, grab everything you can from the old school and embrace the new school fully. 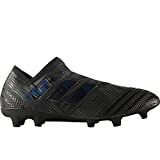 After all, this shoe stands out as a highly advanced performance predator boot. Simply put, it’s the best. The predator brings with an array of key features that make it stand out from the rest. Primarily, it has a Purecut Laceless system for a snug fit and clean upper. It also has a Forged Kit upper that integrated at the midfoot to offer the trademark Predator striking sensation. The shoe’s Controlskin on its upper part produces such a super-soft feel as well as an optimal grip. Pick you predator today and go show the world what you’re made of. For the no-nonsense and traditionalist players, adidas copa has remained their favorite tool of trade. The latest color update of the adidas copa 18.1 features the conventional red, white and black theme but with a touch of contemporary technology. Undeniably, this cleat is specially tailored for composure and class. It offers premium K-leather to guarantee utmost comfort in the game. The shoe has an internal structure within its toe box not only for close control but also to offer support to the leather upper. This update adidas copa 18.1 features a modern technology that includes a SprintFrame outsole and compression fit tongue. This shoe takes pride in its high performance as well as comfortable feel and fit. While a good number of modern cleats are evolving into synthetic and lightweight offerings, this one has remained true to its classic look. 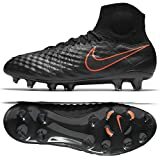 It has maintained the feel and fit of a conventional k-leather cleat. Be classy when you step into your next soccer match by putting the all-new adidas copa 18.1.